BROOKE GLADSTONE: Jorge Ramos has been dubbed the undisputed face of Spanish-language broadcasting but, as you just heard, Spanish-language broadcasting leaves out a lot of those Latino Millennials, not to mention the rest of the media. 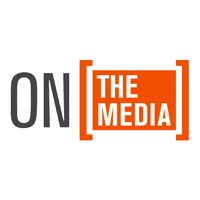 So who better than Ramos to straddle that great divide, not just by anchoring the nightly news and more on the Spanish language behemoth Univision, but also by hosting America with Jorge Ramos, in English, on the new network created by Univision and ABC called Fusion. Jorge Ramos, welcome to the show. It seems that they rediscovered us. It used to be every four years, during the presidential elections, and then they could forget about us for three years. Now that is changing because of demographics. When I first arrived in this country in 1983, there were only 15 million Latinos, and in 2016 we’re going to be 129 to 130 million Latinos in this country. We are in the middle of a truly demographic revolution. No one can make it to the White House without the Hispanic vote. So what we’ve done is to go from numbers to power, and that’s new. BROOKE GLADSTONE: But when Univision and ABC first announced their joint venture to create Fusion, it was marketed mainly as a new platform for English-speaking Hispanic Millennials, but now it’s for Millennials of any background. So what happened? JORGE RAMOS: What happened is that we realized that wow, look at this. These young Latinos, they are already part of the United States in a way in which they don’t want to get different programming. They don’t want to be segmented. And that realization changed our programming completely. BROOKE GLADSTONE: Is this strategy working? JORGE RAMOS: - the immigration report, it’s the Senate passed it almost a year ago and you haven’t moved on that. SPEAKER BOEHNER: I just gave you – I just gave you an answer. There’s nobody more interested in fixing this problem than I am. JORGE RAMOS: Mr. Speaker, you can do it and you really haven’t done it. SPREAKER BOEHNER: I appreciate your opinion, thank you. BROOKE GLADSTONE: I’m just wondering how you cover a story differently on your Fusion show than you might on Univision? Once you take off the tie and you switch to English, does the tone or the content change? 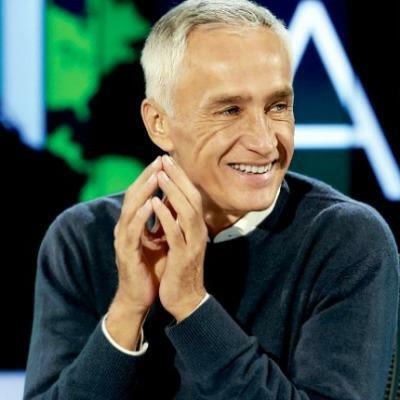 JORGE RAMOS: When we do the news in Spanish, our world is much, much wider. We know the price of arepas in Venezuela, the result of the last soccer game between Chivas and America in Mexico, who’s running for the city council in Buenos Aires, and for us those are local news, even though we are covering it here in the United States. And then when I switch, then we are covering almost the same things that you are covering on an everyday basis. We are covering what’s going on in Afghanistan and Obamacare and the inaction between Democrats and Republicans and how Congress can’t do anything. BROOKE GLADSTONE: There’s also a difference in values, right? JORGE RAMOS: All the time, we have to take into consideration the sensibilities and the values of your audience. Ronald Reagan used to say that Latinos really are Republicans but they just don’t know it. And that might be true. So yeah, doing a story about gays and abortion in English, I would go straightforward and just explain the facts. When I'm doing the same story in Spanish, I will always have the point of view of the Catholic Church, the point of view of very conservative groups, even some comments from people on the street criticizing what we are doing, because those are their values. When it comes to immigration, it’s an incredibly important symbolic issue for us because it's personal. One in every two Latinos in this country above 18 years of age, they are foreigners, immigrants, just like me, and that is reflected in our newscast. When people criticize undocumented immigrants and call them “illegals,” actually, you are offending me. I mean, I’m an immigrant and this country treated me with great generosity. And what I’m looking for, not only as a journalist but also as an immigrant and as a US citizen, what I would like to see is that this country treats other immigrants with the same generosity that it treated me. BROOKE GLADSTONE: Clearly, Univision's relationship with its viewers differs greatly from that of, say, CNN or ABC because it does a lot more than deliver the news. It helped organize voter registration drives. It helped a lot of people sign up for insurance under the Affordable Care Act. So what is Univision, and how does that shape how you do your job? BROOKE GLADSTONE: To stand in as, as a surrogate representative. JORGE RAMOS: Well, for instance, supposedly a Hispanic senator or a Latino member of Congress should have been confronting John Boehner for his inaction on immigration reform. At the end, I did it. And I think the difference is that our audience expects us to do exactly that. BROOKE GLADSTONE: So you embrace the term that has often been applied to you as one who practices advocacy journalism. JORGE RAMOS: Yeah. I’m trying to be very transparent and honest on what I do. When I’m doing the newscast every night, 6:30, I never give my opinion. People know that we journalists have points of view, that we have biases and prejudices. I'm just simply being transparent and honest. I’ve been doing this for 30 years. I’ve been taken exactly the same political positions openly, when I'm not reading and doing the newscast. The difference now is that they see me doing my interviews on Fusion and they realize that this guy who’s been doing this for 30 years in Spanish suddenly is doing the same thing in English. BROOKE GLADSTONE: But does this principle extend to the network, as well. I mean, Univision launched a partnership with the Clinton Foundation called Young and Valuable, to encourage Hispanic parents to read to their kids. And Hillary Clinton's a big part of that launch. One USA Today board member wrote a column saying that Univision may be crossing a line by partnering with a likely presidential candidate. JORGE RAMOS: What the audience expects from us is different than what they expect from other networks. They are expecting not only the news but also guidance on other issues - politics, immigration, health and education. And that's precisely what we're doing. So, in a way, yes, we are politically involved in ways in which other news organizations are not. And in all fairness, we are making a huge effort, making sure that both points of view, Democratic and Republican, get treated in the same way when we cover the news. BROOKE GLADSTONE: Let me just push this a little bit more. The chairman of Univision and also a co-owner, Haim Saban, is a major donor to the Clintons, to the Democrats. He said he's going to support Hillary in a run for the White House, if she chooses to run. Does that put you in a difficult position? JORGE RAMOS: Not at all because we've never gotten a single phone call telling us what to put on the air and what not to put on the air. It’s really no problem for me whatsoever. He can choose and he can support whoever he wants, and he has the right to do that, the same way that other owners of the company chose the Republican Party. My job as a journalist is simply to make sure about I'm reporting the facts correctly and that I'm treating both parties, in this case, similarly. That’s the only thing I have to do. BROOKE GLADSTONE: What do you think is the biggest thing that the mainstream English-language press gets wrong when they cover Hispanic issues in the US? What makes you cringe when you see it? JORGE RAMOS: All the things that they forget. When I'm doing the newscast, on my right side I have four monitors, with four networks, all in English. Most of the time, I smile because I know that we’re going to beat them again in Chicago and San Antonio and Los Angeles and Miami, New York because they are not covering news that are so important to our community, that I know that it’s impossible for people in those places to watch them. If they think that they are covering Pope Francis, they’ve never seen what we do. If – this is incredible. They think that Ukraine is so important. I do think that it is very important, but in Venezuela right now we’re going through exactly the same thing, and they’re not covering Venezuela. While people are discussing that in states like Colorado and Washington State, that marijuana should be legal and that people are going there for tourism, people in Colombia and in Mexico are dying, right now, are dying, trying to prevent marijuana from coming to the United States. And those are the stories that you never hear on an American network. JORGE RAMOS: The world is so small in comparison to what we cover. BROOKE GLADSTONE: Jorge, thank you very much. JORGE RAMOS: Thank you so much. I really appreciate the conversation, Brooke. BROOKE GLADSTONE: Me too. Jorge Ramos co-anchors Univision's Nightly News and hosts the English-language America with Jorge Ramos on Fusion.